The new 1M/2M models measure more accurately than longwave infrared sensors, in particular reflective surfaces. They cover a wider measurement range than any of the competitors’ products. A single model measures 500 - 1,800°C (1 μm) or 250 - 1,400 °C (1.6μm). Measuring points can therefore be set up extremely cost-effectively, especially since up to eight individually addressable heads can be connected to a single MI3 communication box. 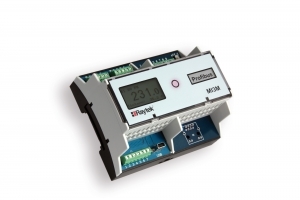 The fieldbus-capable communication box with an LCD display is available either in a metal or in a top-hat rail housing. Of course, the shortwave sensors have all the advantages of the MI3 series: they offer excellent data reliability, since the measured value is converted into a digital signal directly in the sensor head; they are easy to use and enable plug and play; they are rugged (IP65) and offer excellent EMC characteristics; and they can be used in ambient temperatures of up to 120°C without cooling. In addition to this, the shortwave sensors are fitted with laser aiming as a standard. 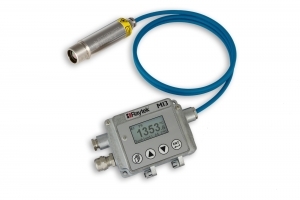 They provide a very good resolution of 100:1 and are extremely fast, at just 10 ms reaction time. The new 1M/2M temperature measuring heads are particularly suitable for use in solar grade silicon crystal growing, in secondary metal working and processing, and for manufacturers of ovens and heating systems.